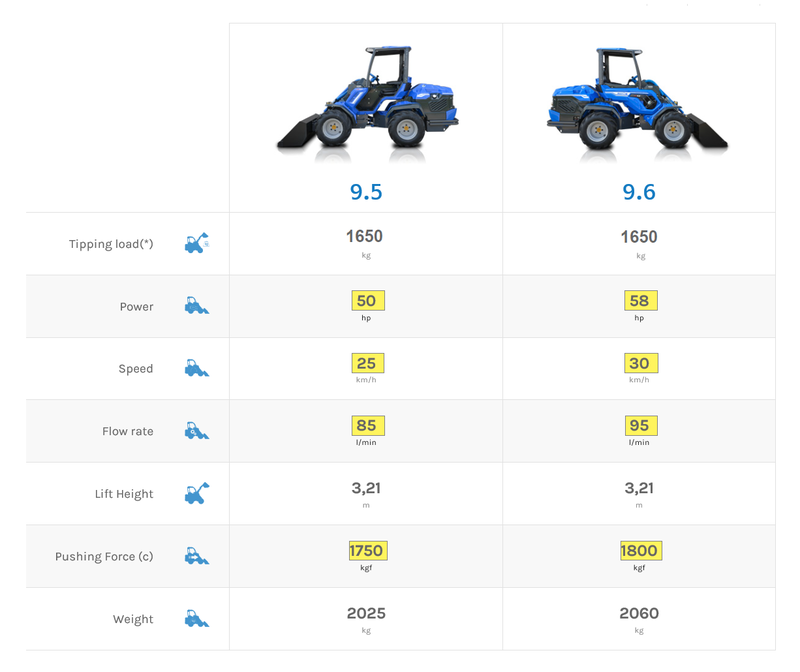 The 9 Series range of MultiOne loaders has no competition in the compact loader market… period. Already more capable, stronger and bigger than any of our competitors or rivals, the new MultiOne 9 Series of mini loaders continue in the footsteps of the GT950/GT960 making use of the new architecture of the evolved design but retaining the trusted and proven reliable power plants of the GT series. Similarly to all loaders in the new series, the 9 Series of compact loaders now have an even higher lifting capacity, auxiliary oil flow to hydraulic attachments and improved ground speed. With double speed standard, these loaders can reach a speed of 30 km/h. Pushing force has been improved by integration of back weights in the chassis and the addition of bigger Poclain wheel motors. The boom as well as chassis got strengthened even more by making use of the latest technology available from modern steel manufacturers. 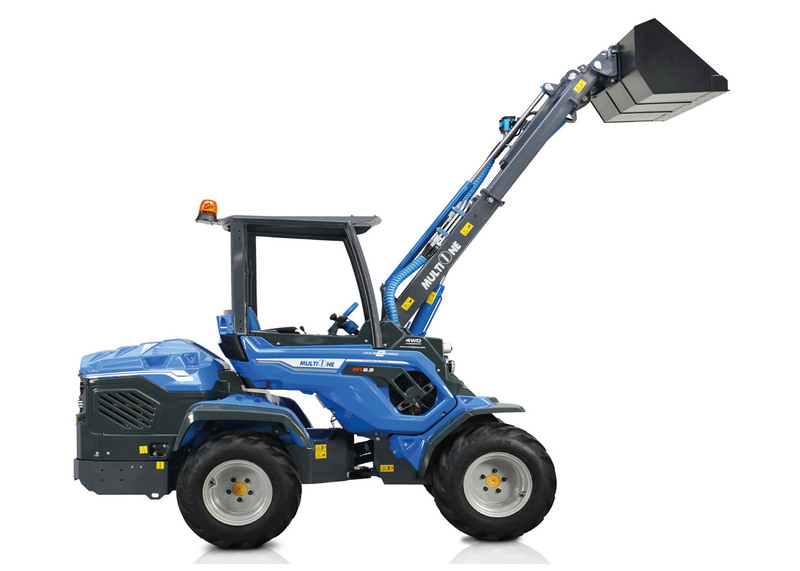 The 9 Series yet remains a very cost effective option for the individual looking for all the benefits of a MultiOne loader at a competitive price without sacrificing power and quality. These compact loaders are perfectly suited for more demanding jobs requiring more lifting power and pushing force. The marginal increase in weight also contributes to great stability when making use of digging attachments. The excellent oil flow rate of 95 litres per minute is ideal to drive the most demanding hydraulic attachments for trenching, digging and excavation, cleaning, landscaping, construction and farming or agriculture . The 9 Series is capable of driving asphalt and concrete trenchers, asphalt planers, mulchers and heavy duty flail mowers with ease. 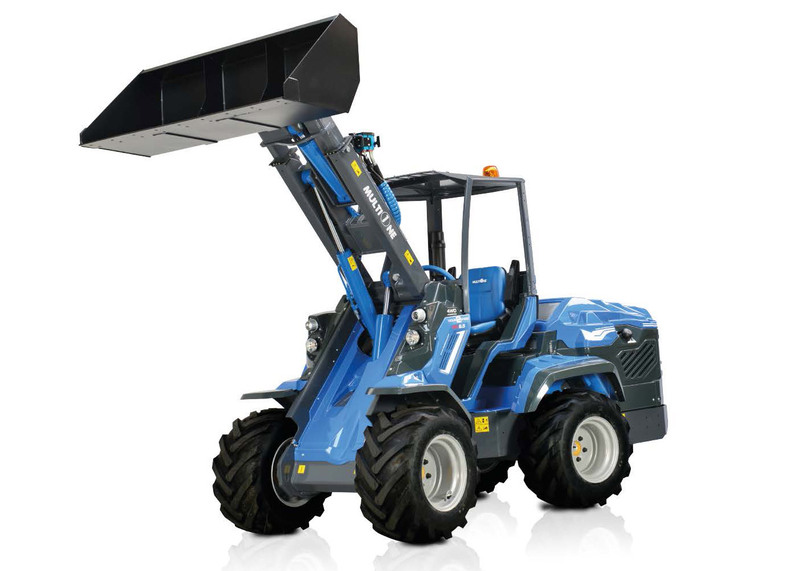 The load capacity makes it ideal for bin tipping, collection of bins from orchards and rough terrain forklift applications at a fraction of the cost. The 9 Series multifunction loaders are also ideal companions for DIY tasks on the farm or plot, clean-ups and rubble removal, and general loading purposes. 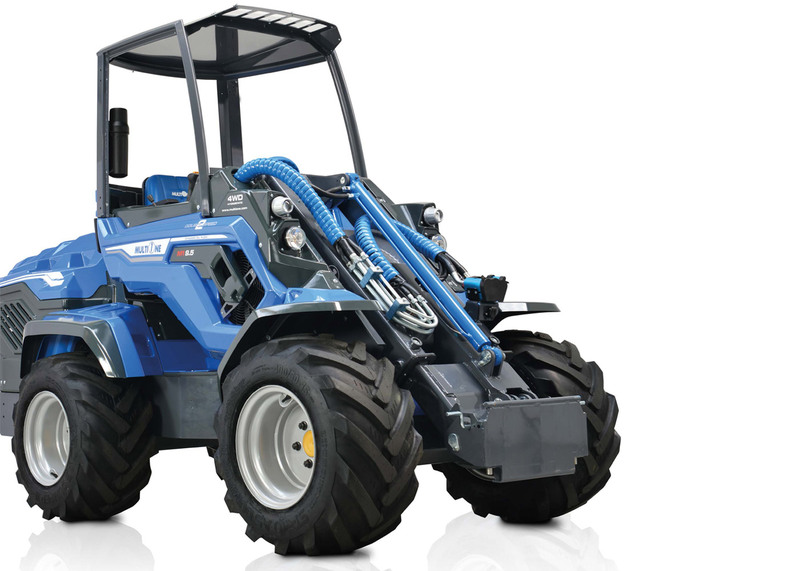 The MultiOne 9 Series mini loaders are all equipped with Yanmar or Kohler power plants delivering 58 hp and includes a Tier 4 final power plant (common rail turbo) for the 9.6 model. 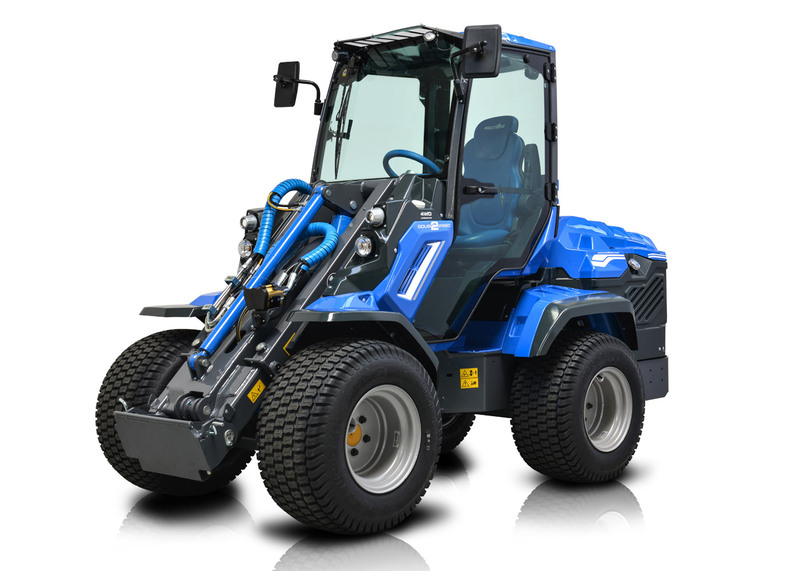 These mini loaders weigh a mere 2060 kg’s making it still suitable to be transported with ease from site to site in a very cost effective manner. 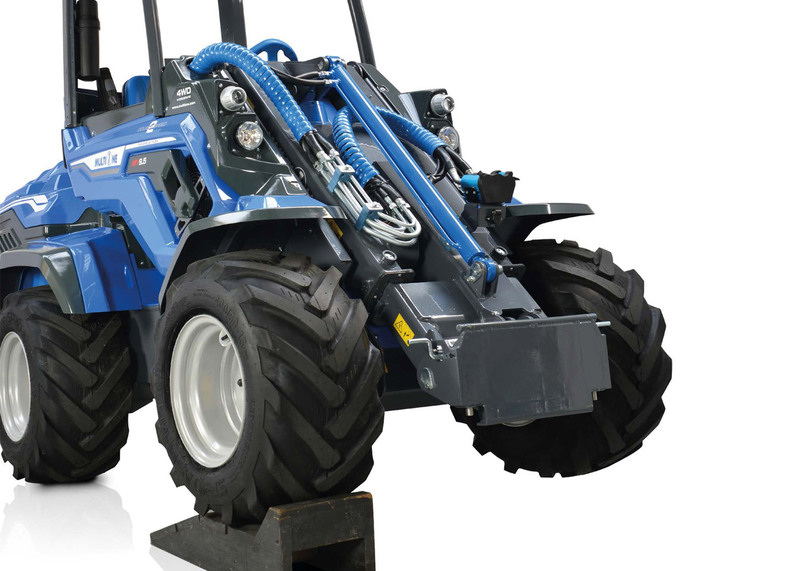 The 9 Series represent a step up from the conventional compact articulated loaders available in the market today offering performance no other manufacturer is able to offer in a small yet cost effective package.